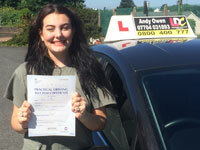 Superb driving instructor! 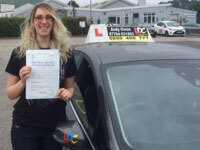 After a couple of driving instructors, and one who made me a very nervous driver, he helped me realise the joy of driving and is a big confidence booster - especially before a test. Always willing to listen he is more than happy to take on any criticism and adapt to make your experience helpful, progressive and hilarious with his sarcastic sense of humor. Even though I had to leave the country for a few months several times, which undoubtedly set me back with a lack of consistent experience (sorry Andy), he never let this bother him. I couldn't have asked for a better instructor to teach me how to drive rather than how to pass a test. Andy is a brilliant instructor who really knows his stuff about driving. He is also very patient and explains things thoroughly so you fully understand what it is you're doing. I'd recommend Andy to anyone who's wants to learn to drive. Thank you for all your help :) Toby. Andy is an amazing driving instructor, explains things very clearly and is patient! 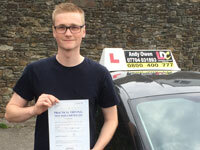 Thank you for helping me pass first time Andy! So glad I decided to learn with Andy, he was always very patient and understanding with me and my nerves whilst learning! He always found a way to make lessons light hearted and fun with a great sense of humour and wit! Couldn’t thank him enough for giving me the confidence I needed! 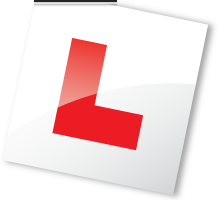 Extremely relaxed, trustworthy, confident boosting, thorough and can’t forget ... hilariously sarcastic driving instructor! After having a not so great experience with other instructors I contacted Andy in need of some lessons and he managed to fit me in last minute with no issues. My confidence had gone out the window before starting with Andy and he managed to win my confidence back within no time. With such a chilled and cool manner from himself, he made my lessons really enjoyable and I can happily say with a smile on my face that it was money well spent! After passing first time with Andy, I would highly recommend him to anybody wanting to learn to drive. Couldn’t thank the cool guy enough for the great experience and couldn’t of picked a better instructor to of passed with!! 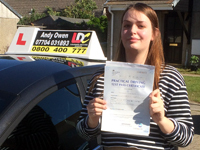 Just wanted to say a massive thank you to LDC Driving School - Andy Owen for being such a great driving instructor. 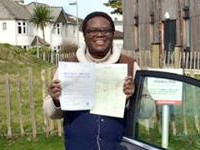 Passed first time and its all thanks to God and you. Great driving experience. He was always friendly, and gave me the confidence when learning how to fine-tune my driving. He was always ready to answer any of my questions, and I will recommend him to everyone! to God and you. Take care.